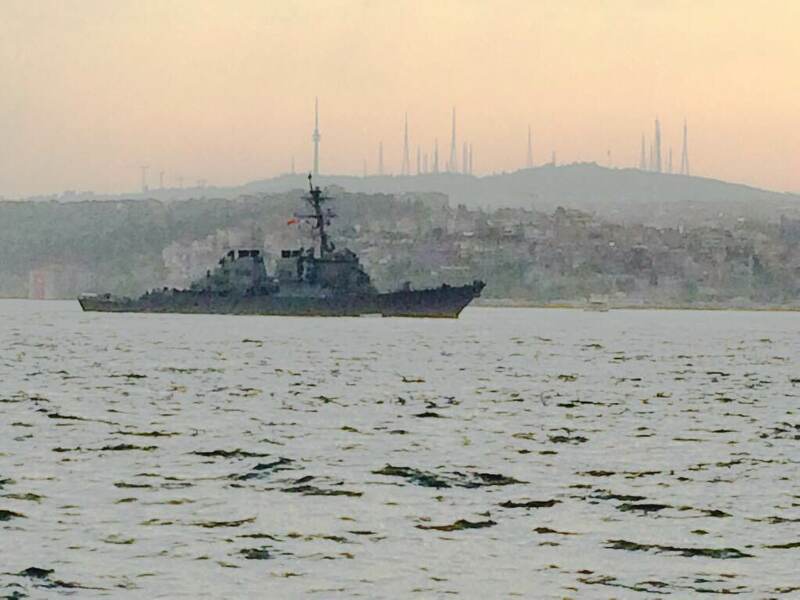 USS Donald Cook passing through Bosphorus. Photo: Yörük Işık. Used with permission. 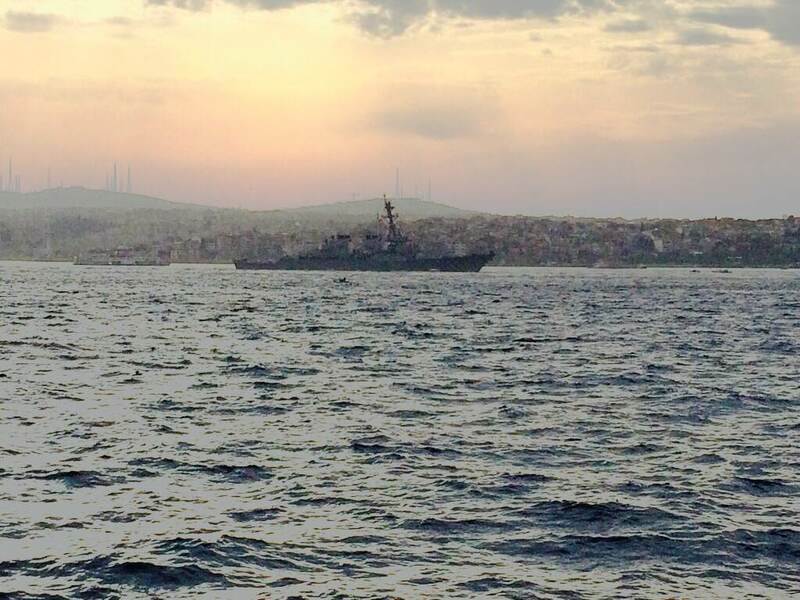 On 24 April 2014 in the early morning hours, the US destroyer USS Donald Cook made a southbound passage through the Bosphorus and left the Black Sea. With the departure of USS Donald Cook, US frigate USS Taylor and the French intelligence gathering ship FS Dupuy de Lôme have remained in the region. 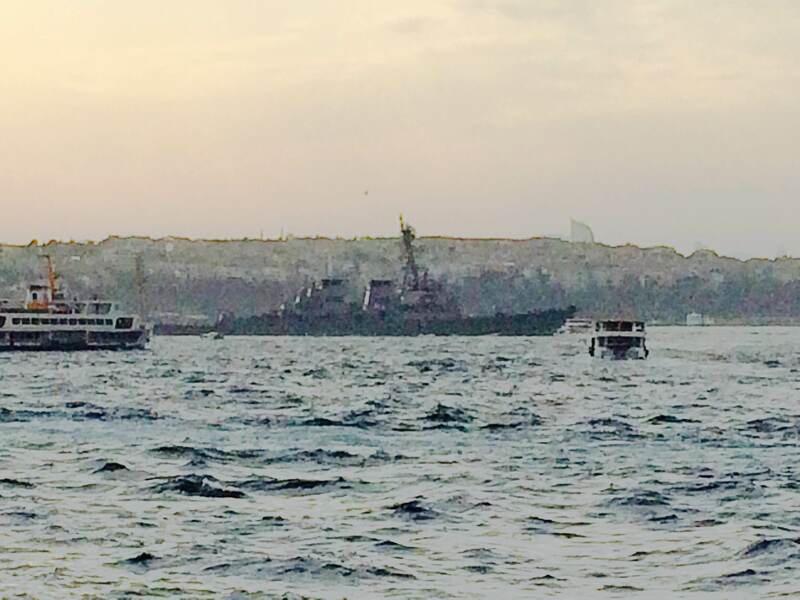 What about French destroyer DUPLEIX which was scheduled to enter the Black Sea on 14 Apr? No show, she’s missing in action.